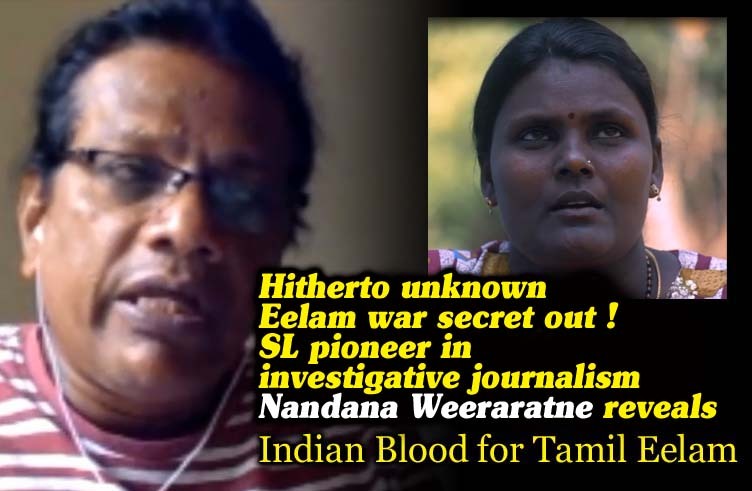 (Lanka-e-News - 23.April.2018, 6.45PM) Journalist Nandana Weeraratne considered as a pioneer in investigative journalism in Sri Lanka (SL) has revealed a secret nobody has hitherto unraveled during the 30 years old Eelam war . That is , about 70 % of the group who fought on behalf of the LTTE in the war are not Tamils of Sri Lankan origin . They are the children of the second generation of the estate Tamils of Indian origin. A great majority of black Tiger suicide bombers were them , according to Weeraratne.